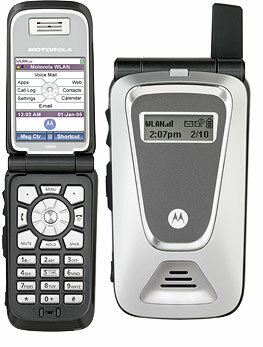 While not news to MobileTracker readers, Motorola has taken the covers off its first WiFi phone--the Motorola CN620. We noted that the CN620 got FCC approval on the first of this month. You should be able to purchase a CN620 by fall 2004 or early 2005. However no carrier has agreed to carry the phone--yet. It should sell for around $400 to $500. Besides WiFi the CN620 sports push-to-talk, an 8-way navigation key and speakerphone. A picture of the Motorola CN620 follows after the jump.